If you just have a choice to visit one country in Southeast Asia, then visit Vietnam (Việt Nam). In regard to travel, Vietnam gets a little bit of bad reputation. Actually, before coming here, many foreign tourists heard about the stories of travel scams, aggressive touts, robberies, and warnings that foreigners will be treated like a walking sign of dollar. However, after coming to this country, that story steadily disappears, and be replaced with other positively impressive ones. So, what makes Vietnam so special? Vietnamese are kind, warm and love to smile and laugh. In fact, Vietnamese people are very caring. According to Peter from UK, when he was sick in Hoi An, a woman from Green Moss restaurant tried her best to get him better. She prepared the fresh ginger tea with honey for him, gifted him with a mint balm to rub over his chest and neck, urged him to wear a scarf to go to bed, and checked up on him every day whenever she saw him eating at her restaurant or cycling around. The best place to enjoy food in Vietnam is on plastic, little stools on the sidewalk. 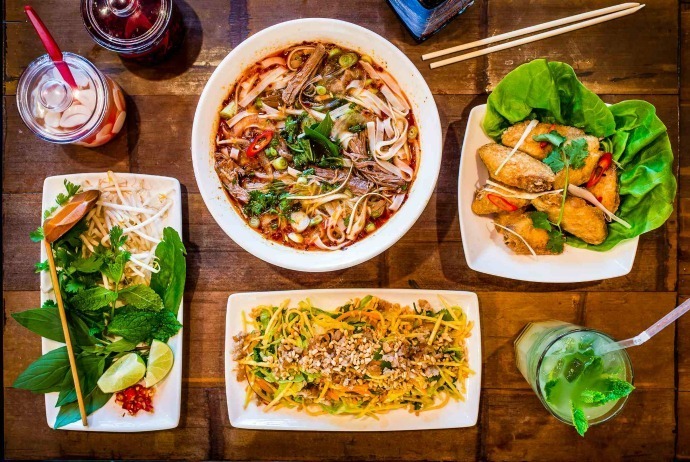 It could be noodle soups, such as the famous pho (phở) or bun ca (bún cá) (the pork-based soup and the fish) or bún chả (char-grilled pork served with rice noodles with dipping sauces and herbs). At most hours of the day, you can find Vietnamese people of different ages congregating under the market awnings or the areas around store fronts, eating and enjoying the company of each other. Eating in such background is very exciting and accessible – this is an interesting way to experience daily life in Vietnam. Also, it is where you can find the best Vietnamese food. For many people, maybe the traffic in Vietnam is terrible, but it is very interesting for those who love the hustle and bustle of a modern city. The traffic in major cities of Vietnam seems incessant and chaotic, that getting from each side of the road to the other sounds nearly impossible at first. Coming here, you will find people and cars all in the street, but the most popular mode of transportation is motorbikes. Those two-wheelers bring to you the feeling of unpredictable when you stand on one sidewalk and try to get to the other. There are many bikes on the streets with at least two people on each. The trick of crossing Vietnam’s streets is to steadily walk, at the even pace. When you move at the predictable ratio, the bikers will comfortably move around you. The most crucial thing is keeping moving and not to speed up or stop. Why do you need to visit Vietnam? It is because there is great Vietnamese coffee. As the second biggest producer and exporter of coffee in the world, Vietnam is famous for its coffee. 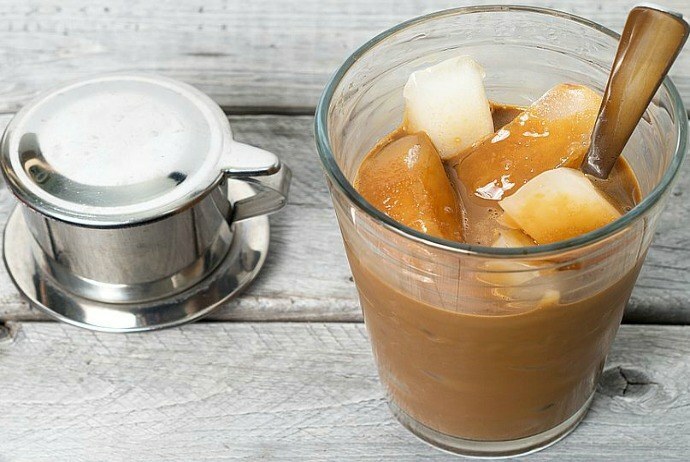 Most importantly, coffee in Vietnam comes with sweetened condensed milk without exception. 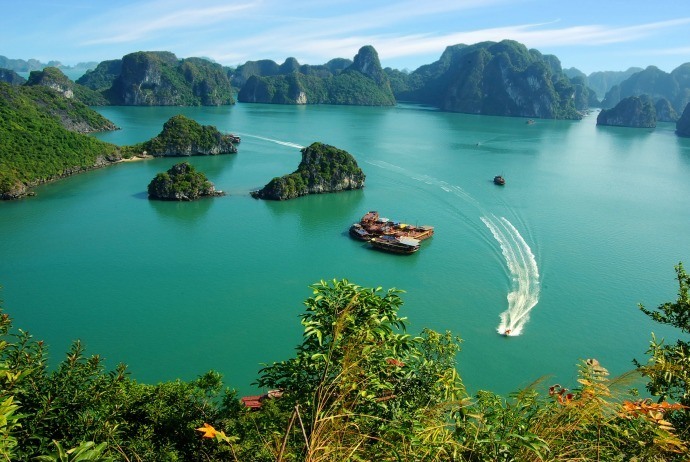 There are various choices coming with traveling in Vietnam. Want to travel down the Mekong Delta’s banks and experience the hustle and bustle life of vendors at work in the famous floating market? The Mekong Delta is a region in Southwestern Vietnam. Tourists can go to Can Tho, which is the largest city of this region, and enjoy a real taste of the countryside life which is also known as “the rice bowl”. Do you want to get lost in the back alleys of Ho Chi Minh City when you go for a search of the best bowl of “Pho”? What about ordering clothes custom made in Hoi An? 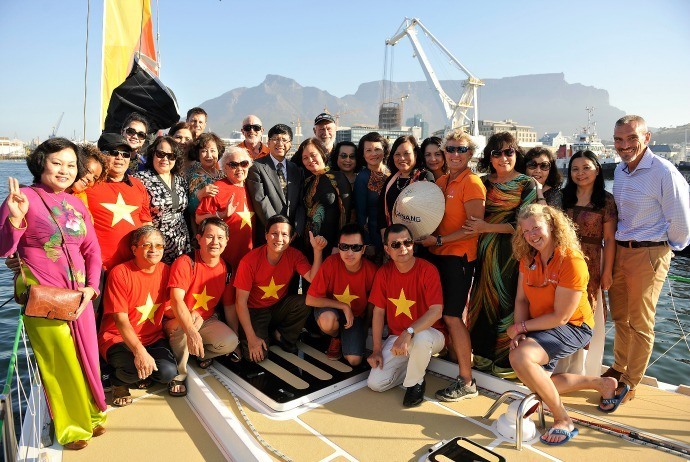 How about a cruise of Halong Bay where you can contemplate one of the World Heritage Site? Or, if you are a fan of the trekking, go for hill trekking in Sapa where you could enjoy a homestay with the ethnic tribes. The list is endless. 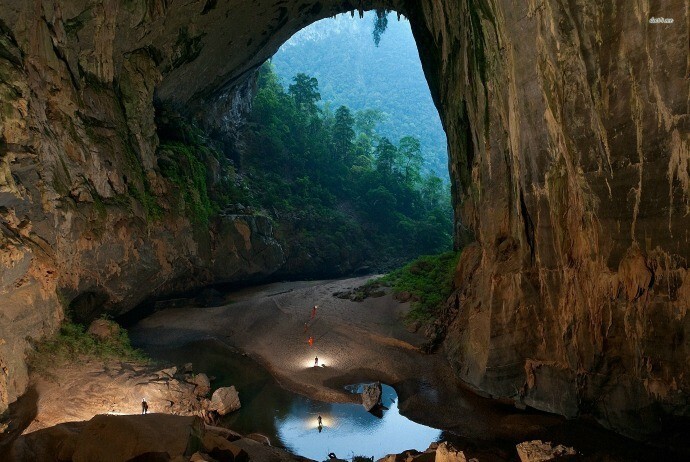 Vietnam is home to Son Doong cave, the biggest cave in the world, which was first explored in 2009, and did not open to visitors and tourists until 2012. The trips into Son Doong are still controlled highly, limited and expensive, yet there is a huge network of caves which are more accessible than Son Doong. The Paradise cave, in Phong Nha – Ke Bang (Phong Nha – Kẻ Bàng) National Park offers a lot of tours for tourists. Headlamps and nerve should be a must. You had better visit before the sights get overrun with visitors. Markets in Vietnam might not be luxurious with skyscraper high stalagmites, yet they are very dynamic. For example, markets in Danang (Đà Nẵng) sell everything from shrimp to fabric. It is not necessary to say that you may get lost exploring the market for hours. These markets are active in the early morning as well as late evening as the temperature cools down somehow and shopping lovers come out. When it comes to markets in Vietnam, one of the extraordinary things is that the food sold here does not smell at all. 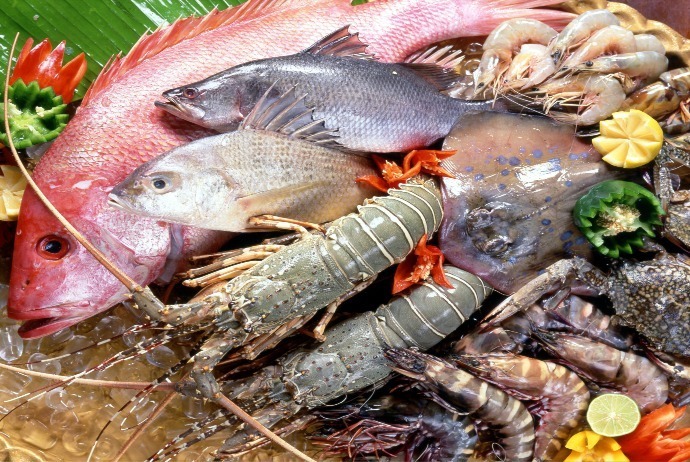 Just walk along the food stalls and see freshly caught snails, fish, crabs,… Because the seafood has just caught several hours ago, you will not smell anything. The views of the horizon are gorgeous and magnificent, particularly at sunset, throughout the country. Halong Bay, one of the UNESCO World Heritage sites located n the Gulf of Tonkin, is spectacular. It is really worth sitting on the bus for a few hours of driving from Hanoi, and also worth fighting the crowds of tourists to see. There are 1,600 islands jutting out of the ocean, seemingly one put on top of the others, creating such a dramatic mountain scape, sky and sea. The history of Vietnam is complex and tumultuous. This country has been occupied and split by different countries for many decades. The colonial influences can be seen everywhere, from the food, the architecture and the coffee. 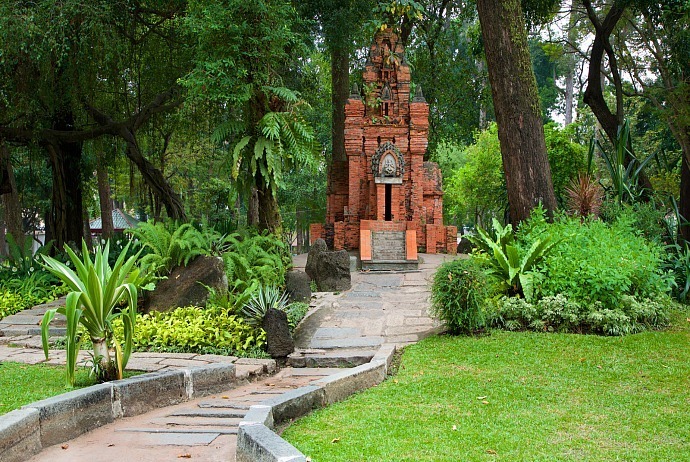 The past of Vietnam is not only fascinating, but also important to learn through. 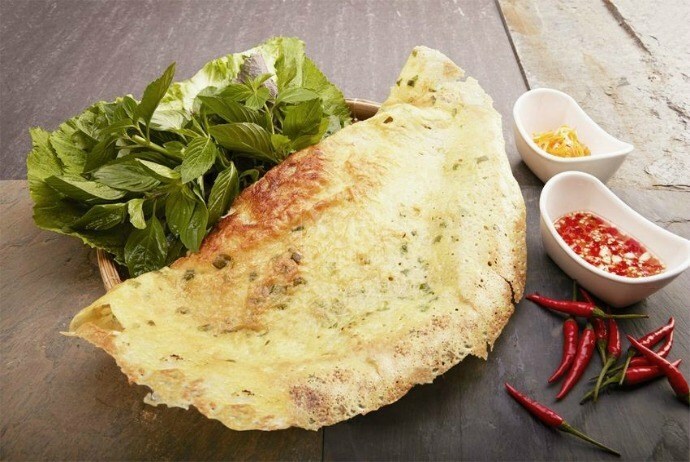 Rice pancakes, also known in Vietnamese as Banh Xeo, might sound ordinary, but this dish is not well-known to a large number of tourists. The dish is made with water, rice flour. It is basic but also sublime. With the yellow color of turmeric, not egg, they have small prawns well cooked within. When eating this dish, the fun just comes when you add fresh herbs and dip all of them into a sour and sweet sauce. The hill station located in the Northwest in Vietnam, Sapa, is one of the most stunning areas of Vietnam. 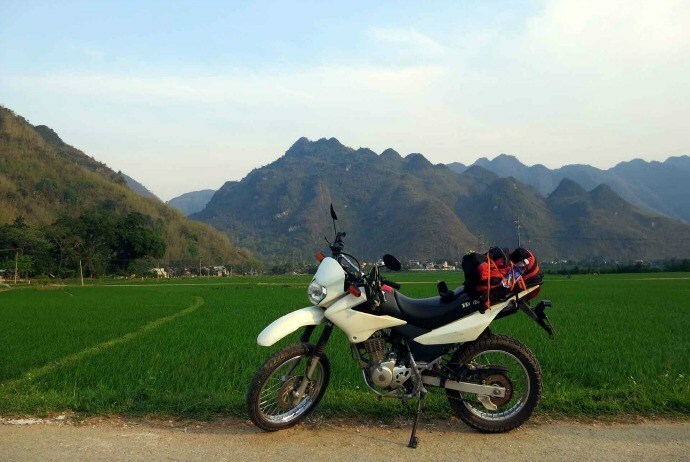 Its surrounding peaks and spectacular green rice terraces make this area well-worth a trip from Hanoi or Saigon. Take an overnight train from the capital Hanoi to Sapa. It is convenient, so Sapa becomes a popular destination on the tourist circuit. In the early morning, you will find many groups of Vietnamese people, both men and women, doing exercise under the sun. Those large groups of people, from young to old, gather around the guide and follow their instructions with music blaring in the background. Also, there other groups practicing ballroom dancing, or playing basketball. At the same time, runners and walkers circle the park. It is an interesting scene that is hardly seen in other places. The beaches in Vietnam might be one of the most unsung beauties of the country. Whilst tourists might think of Cambodia and Thailand as the countries to visit for clear water and white sand, Vietnam boasts the beaches which viral the tourists spots of these countries. The beaches like Mui Ne (Mũi Né) and Nha Trang gets a lot of attention, yet less- traveled, quieter beaches such as Doc Let are true treasures. Phu Quoc (Phú Quốc) and Con Dao (Côn Đảo) are a few of the most gorgeous islands in Asia. In Vietnam, herbs are very common on the plates in meals. 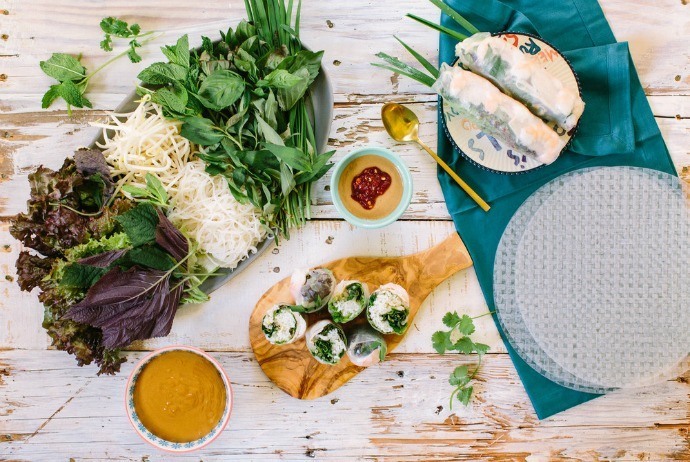 Plates are filled with fresh herbs such as coriander, Thai basil, mint, dill and greens such as Morning Glory accompany everything from spring rolls to soups. These herbs are often used as wraps or garnishes, making food so fun to eat. One of the most picturesque places, Hoi An (Hội An) – a UNESCO World Heritage town, is located in the center of Vietnam, outside of Danang (Đà Nẵng). Hoi An used to be a flourishing port town in the past from the 15th to 19th centuries. Thanks to the foreign residents from Japanese and Chinese to French, Hoi An boasts a lot of local specialties that you could not find anywhere else throughout the country. The dishes such as White Rose Dumplings and Cao Lau (Cao Lầu) are the reasons enough to visit this ancient town. 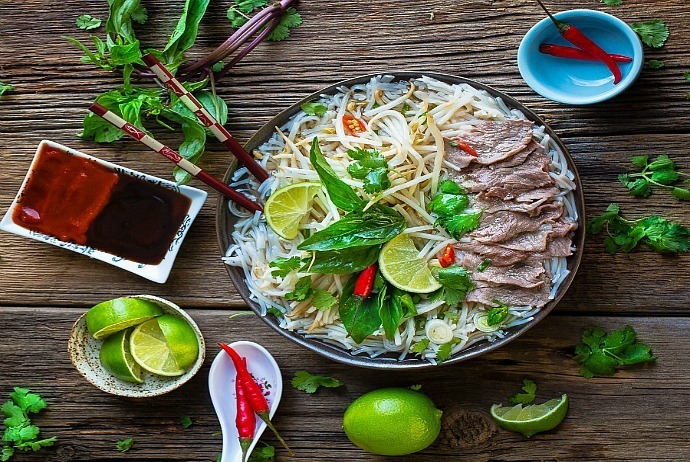 Pho might be the most iconic dish of Vietnam. Noodle soups are often eaten at breakfast, oftentimes in a market or at a street stall. However, there is also Bun Bo Hue (Bún Bò Huế), the beef bone broth-based noodle soup, and Bun Ca (Bún Cá), a fish-based and pork soup with tomatoes and dill. These dishes are all based in noodle.